Hard Packed Yogurt – Probiotic! How did you like our Ice Cream ? 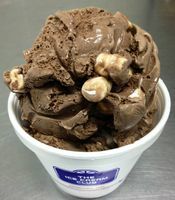 Dark Chocolate ice cream with choco coated cashews and luscious Denali® Caramel. It'll keep you Roaring for more! 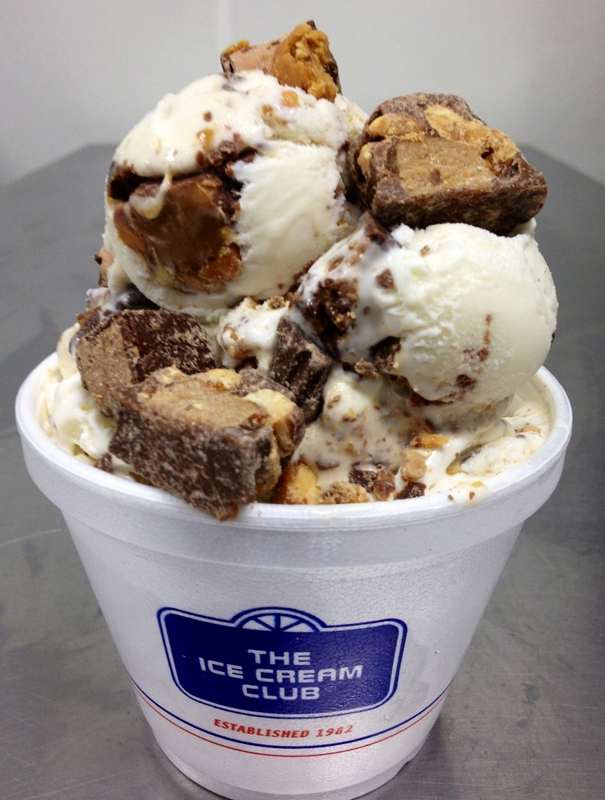 This flavor is flying off the shelves.....Butterscotch ice cream loaded with a thick ribbon of butterscotch and exploding with brownies, heath bars, cookies and peanut butter cups....need we say more! Rich Chocolate ice cream with peanut butter filled chocolate covered pretzels and a river of peanut butter running through it. 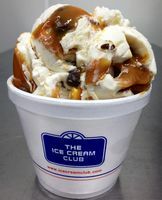 Toffee flavored ice cream with caramel cups and luscious Denali® Caramel.....Always a crowd pleaser! 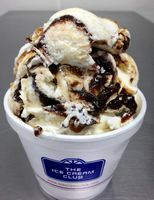 Our original trademark flavor....Generous chunks of 7 different brand name candy bars and granulated peanuts in Vanilla ice cream. Missing a Hawaiian getaway, next best thing...... Coconut ice cream with macadamia nuts swirled with fudge and butterscotch. Can you handle the HEAT?....Mexican Chocolate ice cream with a pinch of cinnamon, tons of mini marshmallows and a CAYENNE KICK!!! You don't have to live in Palm Beach to appreciate this truly decadent treat.....Rich Chocolate ice cream with a thick river of butterscotch and roasted pecans. 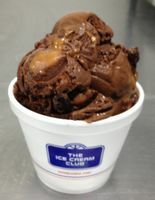 Rich chocolate ice cream loaded with chocolate covered pecans, mini chocolate caramel cups & thick golden caramel swirl. A true treasure! 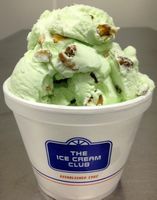 My Brother's all time favorite......the Ultimate Pistachio ice cream loaded with roasted pistachios......perfection! A Heavenly combination ......Raspberry ice cream with raspberry ribbon & dark chocolate raspberry cups. 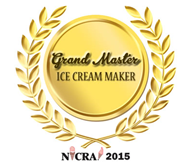 Fan favorite....Red Velvet ice cream with chunks of decadent red velvet cake and a rich ribbon of cream cheese icing. Salty caramel ice cream with a salty caramel ribbon and salty roasted peanuts.....YUMMO and addictive! Always a crowd pleaser.....Swirled Pistachio, Chocolate and Cherry Ice Cream with roasted almonds and a special blend of tropical fruits. If you're a coffee lover, this is a MUST have....there is no better!!! 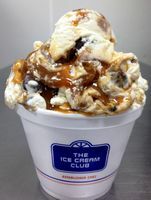 Rich Coffee Club® ice cream with delicious fudge & mini dark chocolate coffee cups. 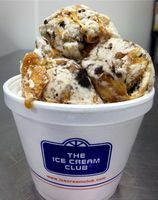 Dive into a Buttery Vanilla ice cream filled with chocolate covered pecans, mini caramel cups & a golden caramel swirl. Copyrights 1982-2015. All Rights Reserved. The Ice Cream Club®,Yogurt Club® and Coffee Club® are registered trademarks of The Ice Cream Club®,Inc., Boynton Beach,FL. Bear Claw®, Caramel Caribou®, Moose Tracks® and NSA Moose Tracks® are registered trademarks of Denali Flavors, Inc. Any copy, duplication or forwarding of this document without express written permission is prohibited.